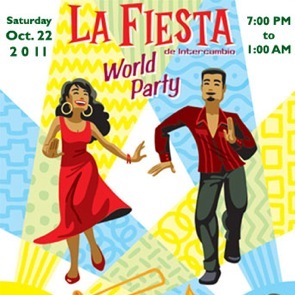 This year will be the tenth year for Intercambio’s annual La Fiesta. If you’re not familiar with this event, it is a true community event that is affordable and accessible to everyone regardless of economic class. Back in 2002, when we held our first Fiesta, we had a vision for doing something different, fun, diverse and inviting. 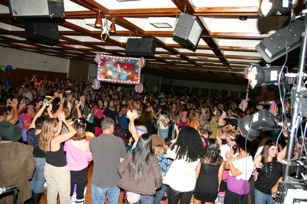 Though we had done some smaller events with dancing and shows, we were stepping it up.We didn’t know what to expect, but we were blown away at the turnout. I was in shock for the entire duration of the event, five hours straight! Shawn Camden, the organization’s co-founder, and I had prepared a dance show that was never performed, the evening was so crazy and went by so fast. There were over 1,000 people in attendance, and many said that it was the most diversity they have ever seen in Boulder. Many were volunteers and students who brought their friends and family. Our biggest issue was parking and it still is today. Encounters at the event have resulted in several marriages, including a recent marriage of one of our County Commissioners! We feel so blessed to have a super fun fundraising event that truly fulfills our mission of uniting diverse communities and raises significant funds for our organization. This year has been financially challenging for Intercambio, so we’re hoping for a big turnout because all proceeds provide direct support for our programs. It’s the best entertainment lineup yet: two Latin Bands, a funk band, and live Brazilian and African drummers and dancers. Not to mention the annual (except for the first year) Intercambio show with our staff, volunteers and students. This year’s show is titled Amor, Dolor y Chicharrones (Love, Pain and Pork Rinds). The event remains very affordable and a great deal for five bands and more! Our one request of you is to carpool if possible. Happy Third Anniversary Blue Line!